What kind of year are we in store for? No, I am not referring to the Arctic Blast and our weather cast. I am referencing the business climate and expectations for 2014. By all indications, we believe this year will be a very positive and prosperous year. For one source of reference, you can always contact our local CTX Association of REALTORS® for an update on market sales and real estate values. But another indicator would be to reference the New Braunfels sales tax dollars and compare those to the previous years. Currently, New Braunfels has reported double digit percentage increases for over 12 months consecutively in comparison to the same months of the previous year. Not only does this indicate a brisk business market for New Braunfels, but it is also a sign that consumer confidence is up. And couple this with a 4.2% unemployment rate (the lowest within our 12 county region), we have the two primary ingredients for a healthy economy. With a healthy economy and a positive forecast for the coming year, what can we expect from the Greater New Braunfels Chamber of Commerce? You can expect continued hard work from those that serve on the various committees and task forces. In order to give our business community the opportunity for continued success, our committees are charged with taking a PROACTIVE approach on challenges and issues. If you are interested in any of the Greater New Braunfels Chamber of Commerce Committees, please contact the Chamber office at 830-625-2385 for a list of committees and their schedule. Here are a couple of dates to consider. On February 4th, the Chamber Transportation Committee meets at 7:30 am. A presentation will be given on the Seguin Avenue underpass and widening project. There will also be updates and discussion on other transportation concerns and plans. On February 6th, the Chamber Government Affairs Committee meets at 7:30 am. 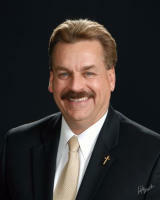 Rich Leidl, the city’s representative in Washington, DC, will be the guest speaker. Leidl will review current happenings at the Capitol and likely outcomes in the following months on key legislation. Members will learn how these actions will impact them. On February 12th, we have the 46th Winter Visitors Reception in the Civic Convention Center. This is an annual event to honor and thank our winter visitors. We anticipate 400 to 500+ winter Texans to attend. Door prizes, entertainment, wine, beer, light foods. Over 3,000 Winter Texans stay here each year between November and April. Our friends from the north add a lot to the fabric of our community as they volunteer, shop local, attend church locally, etc. voting is February 18th – 28th. For information on voting registration, go to www.co.comal.tx.us/Vot_Gen.htm or call 830-221-1100.